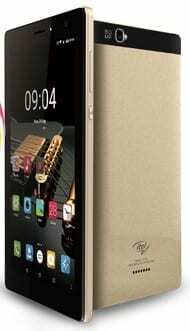 Itel Prime 3 (Itel It1703) is an upgrade to the Itel Prime 2. It features a 7-inch display with a 5 megapixels rear camera and 2 megapixels front camera. Though a tablet, the Itel Prime 3 supports traditional voice calls. Itel Prime 3 runs Android 5.1 (Lollipop) on a 1.3GHz quad-core processor with 1GB RAM. The phablet offers 16GB built-in storage with a microSD slot that supports up to 32GB memory card. The 7-inch IPS display offers a modest resolution of 600 x 1024 pixels. You also get 6000 mAh battery built-in. Itel Prime 3 is now available in Nigeria, Kenya, and Ghana. You can buy the 7-inch tablet at leading online stores in the country. Itel Prime 3 Price in Nigeria ranges from 37,000 Naira to 55,000 Naira, depending on your location in the country.